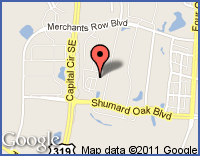 Affairs Office at (850) 921-2816. Click on a question below to expand and view the answer. Or you can download and print a PDF version. If clicking on the titles won't open the boxes, you can see the questions by clicking here. Probation is a period of supervision in the community imposed by the court as an alternative to imprisonment. Parole is the release of a prisoner to supervision in the community after he/she has completed a part of his/her sentence in an institution. During these public proceedings, the Commissioners make a variety of determinations regarding parole, for example, setting the PPRD, conducting subsequent reviews, and determining whether or not to authorize parole. The Commissioners may hear testimony from victims, victims’ families, inmates’ families, law enforcement, state and private attorneys, as well as other interested parties. Visitors in support are scheduled to speak first, while visitors in opposition will speak second. All speakers, in support, must share the allotted 10 minute time frame for speaking. All speakers, in opposition, must share the allotted 10 minute time frame for speaking. The Commission also conducts other types of proceedings on hearing days, such as imposing conditions of conditional release, conditional medical release, or addiction recovery supervision. The Commission makes final determinations with regard to revocation of post release supervision and reviews releasees' supervision status every two years. What are the different hearing types? Initial Interview: At this hearing, Parole will not be considered. The purpose of this hearing is to establish a Presumptive Parole Release Date (PPRD) and the Next Interview Date (NID). The Commission evaluates many factors in establishing the PPRD. Request for Review: The purpose of this hearing is to consider every matter with which the inmate takes issue or exception (salient factor score; severity of offense behavior; aggravating or mitigating factors; etc.) regarding the establishment of his Presumptive Parole Release Date. Visitors will only be able to speak on the issues raised by the Request for Review. Subsequent Interview: The purpose of this hearing is to determine if any change should be made in the Presumptive Parole Release Date (PPRD) and establish the Next Interview Date (NID). The Commission can elect to make no change, reduce or extend the PPRD. Effective Interview: The purpose of this hearing is to determine if the inmate will be granted parole. The Commission can elect to grant parole, extend the Presumptive Parole Release Date (PPRD) or decline to authorize parole (placing the PPRD in a suspended status). Extraordinary Review: The purpose of this hearing is to review an order outlining the reasons for the Commission’s decision to decline to authorize parole. The Commission can elect to move the order to suspend the Presumptive Parole Release Date and schedule the Next Interview Date, grant parole or extend the Presumptive Parole Release Date. Extraordinary Interview: When the Presumptive Parole Release date is in suspended status, the inmate receives an Extraordinary Interview. The purpose of this hearing is to determine if the inmate’s Presumptive Parole Release Date (PPRD) should be removed from a suspended status. The Commission can elect to make no change in the (PPRD) or establish an Effective Parole Release Date (EPRD) within the next two years. Parole Supervision Review: The purpose of this hearing is to review the parolee’s progress while on parole. The Commission may elect to make no change or modify the reporting schedule and/or conditions of parole and schedule the next review date. At the discretion of the Commission, the Next Interview Date (NID) can be scheduled based on original offenses and range from 2 to 7 years. The Commission may recommend program participation during the Initial, Subsequent, Effective or Extraordinary interview process. Download and print a PDF copy of the different hearing types. A decision to grant an inmate parole is made during the Effective Interview. At these interviews, the Commission can elect to move the order to suspend the PPRD and schedule the Next Interview Date, grant parole or extend the PPRD. Effective Interviews are scheduled 90 days before the PPRD. A Presumptive Parole Release Date (PPRD) is a tentative parole release date as determined by objective parole guidelines. What is a Revocation Hearing? This hearing occurs when an offender is alleged to have violated the conditions of his/her release. When the Commission finds the releasee guilty of a willful and substantial violation, the Commission may order the violator returned to state prison to complete service of the original term of imprisonment. What are the different types of supervision release the Commission administers? Parole – A discretionary release, which allows an inmate who has been granted parole to serve the remainder of his prison sentence outside the confines of the institution. Once release, the parolee is subject to strict conditions of supervision set by the Commission. Conditional Medical Release-An offender may be recommended to be considered for this program when they have been determined by the Florida Department of Corrections, because of an existing medical or physical condition, to be either permanently incapacitated or terminally ill.
Control Release- Created in 1989 as a prison population management tool to address overcrowding. This authority is inactive at this time as there are sufficient prison beds for the current prison population. Conditional Release- All offenders whose crimes were committed on or after October 1, 1988, which crime fell under the violent offense categories of the Florida Rules of Criminal Procedure, and have served at least one prior felony commitment at a state or federal correctional institution, or have been sentenced as a habitual, violent habitual, violent career criminal or a sexual predator must be supervised under this program. This is NOT a discretionary early release program. When the qualifying offender is released by virtue of awards of gain time, the Commission imposes appropriate terms and conditions of supervision until the end of the court-imposed sentence. Addiction Recovery- The mandatory non-discretionary release of non-violent offenders who have evidence of a substance abuse issue. These offenders are subject to conditions of supervision imposed by the Florida Commission on Offender Review. Clemency is the constitutionally authorized process that provides the means through which convicted felons may be considered for relief from punishment and seek restoration of their civil rights. The clemency function is an act of mercy that absolves an individual from all, or any part, of the punishment that the law imposes. This is a power to grant full or conditional pardons, or commute punishment. If an individual was adjudicated delinquent of an offense as a juvenile and not adjudicated guilty in adult court, that person is not eligible for any form of clemency. Full Pardon – A Full Pardon unconditionally releases a person from punishment and forgives guilt for any Florida convictions. It restores to an applicant all of the rights of citizenship possessed by the person before his or her conviction, including the right to own, possess, or use firearms. Pardon Without Firearm Authority – A Pardon Without Firearm Authority releases a person from punishment and forgives guilt. It entitles an applicant to all of the rights of citizenship enjoyed by the person before his or her conviction, except the specific authority to own, possess, or use firearms. Pardon for Misdemeanor – A Pardon for Misdemeanor conviction releases a person from punishment and forgives guilt. Commutation of Sentence – A Commutation of Sentence may adjust an applicant's penalty to one less severe but does not restore any civil rights, and it does not restore the authority to own, possess, or use firearms. Remission of Fines and Forfeitures – A Remission of Fines or Forfeitures suspends, reduces, or removes fines or forfeitures. Specific Authority to Own, Possess, or Use Firearms – The Specific Authority to Own, Possess, or Use Firearms restores to an applicant the right to own, possess, or use firearms, which were lost as a result of a felony conviction. Due to federal firearms laws, the Clemency Board will not consider requests for firearm authority from individuals convicted in federal or out-of-state courts. In order to comply with the federal laws, a Presidential Pardon or a Relief of Disability from the Bureau of Alcohol, Tobacco and Firearms must be issued in cases involving federal court convictions. A Pardon or Restoration of Civil Rights with no restrictions on firearms must be issued by the state where the conviction occurred. Restoration of Civil Rights (RCR) in Florida - The Restoration of Civil Rights restores to an applicant all of the rights of citizenship in the State of Florida enjoyed before the felony conviction, except the specific authority to own, possess, or use firearms. Such restoration shall not relieve an applicant from the registration and notification requirements or any other obligations and restrictions imposed by law upon sexual predators or sexual offenders. Restoration of Alien Status under Florida Law - The Restoration of Alien Status Under Florida Law restores to an applicant who is not a citizen of the United States such rights enjoyed by him or her, under the authority of the State of Florida, which were lost as a result of a conviction of any crime that is a felony or would be a felony under Florida law, except the specific authority to own, possess, or use firearms. However, restoration of these rights shall not affect the immigration status of the applicant (i.e., a certificate evidencing Restoration of Alien Status Under Florida Law shall not be a ground for relief from removal proceedings initiated by the United States Immigration and Naturalization Service). The Governor and members of the Cabinet sit as the Board of Executive Clemency and establish the Rules of Executive Clemency https://www.fcor.state.fl.us/docs/clemency/clemency_rules.pdf by mutual consent. The powers to grant clemency are vested in the Governor with the agreement of two cabinet members who are also statewide elected officials. The Governor also has the sole power to deny clemency. What is the difference between RCR cases With a Hearing and Without a Hearing? With a Hearing investigations are those where offenders are eligible for consideration after seven (7) years have passed since the date of completion of all sentences and conditions of supervision imposed for all felony convictions. Without a Hearing cases are those where offenders are eligible for consideration only after five (5) years have passed since the date of completion of all sentences and conditions of supervision imposed for all felony convictions, if no crimes have been committed and if the applicant has not been arrested for a misdemeanor or felony for the five (5) years prior to the date the application is being reviewed. 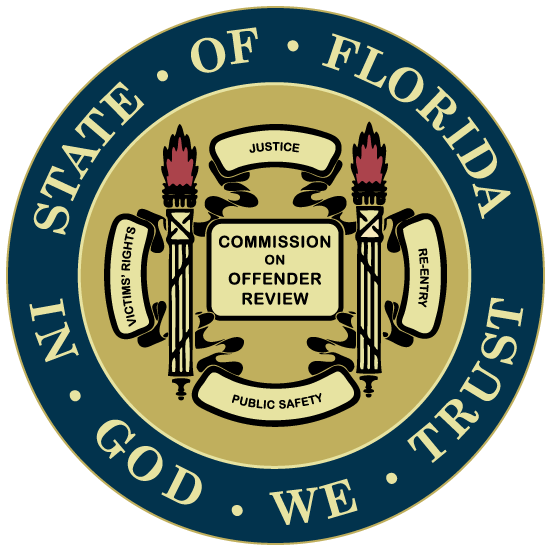 What role does the Florida Commission on Offender Review (FCOR) have in the clemency process? The Commission operates as the administrative and investigative arm of the Clemency Board and reports directly to the Governor and Cabinet. The Coordinator is appointed by the Board, is the official custodian of records, provides verification of eligibility and Board actions, and prepares agenda, orders & certificates. The Office of Clemency Investigations conducts comprehensive, confidential investigations for the Board on clemency applicants. An offender must have completed their sentence including the terms of supervision, must not have any pending criminal charges or outstanding detainers/warrants, have paid all victim restitution, and must meet the timeframes established by the Board of Executive Clemency. How does an individual apply for clemency? Individuals seeking any form of clemency must submit an application and required court documents to the Office of Executive Clemency. Applications and additional Information is available at www.fcor.state.fl.us. How can an offender determine if they have been granted clemency? Individuals may visit https://fpcweb.fcor.state.fl.us/ to determine whether their rights have been granted. If granted, a copy of the certificate may be printed.